Cisco Systems is one of the leading firewall security company founded in San Francisco in 1984, offers network security products for every requirement and has built up a large, proven track record over the last 30 years. Every IT network admin knows the name Cisco Systems and the brand does not need any further introduction in the industry. 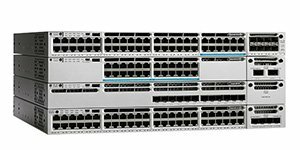 As far as Cisco hardware is concerned, Cisco ASA 5500-X series firewall devices ensure safety. 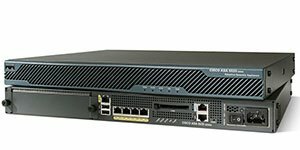 These Network security appliance devices support Cisco Adaptive Security Appliance Software, providing stable operation and compatibility of the security firewalls with other Cisco network elements. 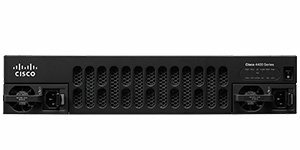 Cisco ASA 5505 series is the most popular Cisco Firewall available in many configurations that cover a wide variety of users, ports and additional functions. A wide range of Cisco network security products and solutions for organizations of all sizes. Cisco routers simplifies how to create a secure, reliable, and scalable IT network at lower cost. Find the right Cisco router for your business. Find the Reliable Switch for Your Network Needs. Cisco Switches for Networks of all types with highly secure, reliable Cisco switching solutions. Find the right Cisco Firewall for your network. Detect and stop unknown & malicious threats better with Cisco security products. Why Buy Cisco Firewall Appliance From Us ? As a global leading network hardware firewall supplier, Wroffy always devotes to meeting the requirement of clients of all sizes, including small medium business, system integrator and end-users. We have an outstanding sales professional & technical team to ensure that you enjoy the best products, technical supports and services. Wroffy Technologies has been a Cisco supplier and reseller from last many years. Wroffy is Firewall Security Company in India, provides Cisco firewall security solution to protect your network from any malicious attacks and unexpected crises. We are India’s leading Firewall Security Company & has partnered up with best Firewall manufacturer Cisco. Do you have any questions about hardware firewalls appliance, switches, routers or other Cisco security products or do you want appropriate consultation for your specific situation? To find out more speak to one of our Cisco Sales specialists !